A member of the mint family, sage has an extensive list of uses, likely with many more yet unknown. Sage is astringent, oily, and slightly warming in nature, making it a go to for relaxed, atrophic and depressed tissue states. A strengthening herb, sage is excellent for rebuilding vitality during long term illness. Sage is called for with fevers, both those that cause drowsiness, lethargy & delirium or restlessness, spasms and convulsions, and especially if pair with a sore throat. A hot tea of sage brings out its aromatics, stimulating sweating, salivation and internal secretions whereas a cold tea does the opposite, decreasing secretions. Its decreasing effect on secretions also applies to lactation, working as an aid to curb milk production. An astringent and bacteriostatic (stops bacteria from reproducing while not necessarily killing them), sage keys in for sore throats as well as other gum and throat problems including cancker sores, swollen glands, hoarseness, tonsillitis, and laryngitis. Sage has also been used for cataracts as an astringent toner. Sage is well known as a culinary herb. Cooking fatty meats with sage makes them more digestible. Sage also contains small amounts of bitters & oils which are mildly stimulating to the gallbladder increasing its activity and releasing bile therefore improving digestion, fat and oil absorption as well as elimination. Sage influences the lipid and water balance in the body therefore combating drying out and ageing as well as strengthening the skin and tendons. Perhaps most intriguing about sage is its effect on the endocrine and nervous systems. Sage reduces appetite, sexual desire, and lactation, all of which are controlled by the hypothalamus. Phyllis Light says that sage is a specific for the transition in fertility levels of estrogen to post-menopausal levels. 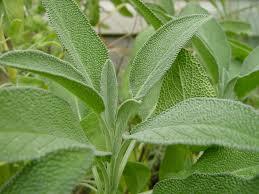 Sage also preserves the nervous system when it is under extreme attack by viral bacterial febrile diseases. Wet coughs are generally productive (expelling mucous) which is the body’s way of removing unwanted substances. However, some wet coughs can become explosive and overwhelming. The herbs in this tea calm and partly dry out an overly wet cough. Thyme is a powerful upper and lower respiratory antibacterial herb. Combine 2 tablespoons dried thyme, 2 tablespoons dried sage and 2 tablespoons dried elderberries in a 1-quart glass jar. Pour enough boiling water over them to fill the jar. Steep for 5 to 8 minutes, tightly covered. Strain the tea and add honey and fresh lemon juice to taste. Drink 3 to 5 hot cups daily. Use sage fresh or hang to dry and use for tea or cooking. A primer herb for fall and winter health. Sage can also be made into a tincture or infused into vinegar. Sage makes a delicious infused honey. Cautions/Contraindications: Not appropriate in active excited conditions.